We have discovered a great way to teach kids geography. Awhile back we discovered geocaching and had great adventures using a GPS to find small treasures or geocaches everywhere we went. We were shocked to learn how many treasures there were. It is a great way to spend some time with the family, be outside and teach your kids about geography. We use the http://www.geocaching.com/ website. You use your GPS (some cell phones now have GPS) and enter the coordinates to find the treasures. You can also print out additional clues from the website. Usually, you take along small treasures to trade with the treasures that you find. Some things we’ve left have been hand-painted rocks, stickers, figurines and little toys. There is usually a small log book to leave your name, then you can also go back to the website and share your adventures. This past weekend we found some geocaching “travel-bugs”. They are little trackable necklaces with a number on them. You go to the site and can see where your little “bug” has been, share where you found your “bug” and then place him in another geocache for him to continue on his journey. This is a great opportunity to introduce maps to your little ones. Recently we just learned about Letterboxing. It’s similar in nature to geocaching, except less high tech. 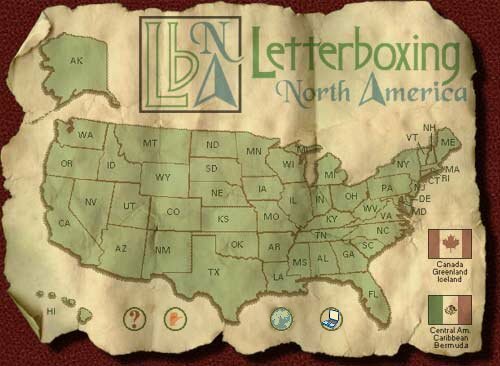 We used http://www.letterboxing.org/ to learn more about how it all works and to find some letterbox locations. Letterboxing uses a compass and some clues to help you locate the letterbox. You don’t swap treasures, you use rubber stamps instead. You would have a rubber stamp that would represent your family, then you leave that in the logbook inside the letterbox. A rubber stamp will be at the letter box location and you stamp that inside your notebook to remember places you’ve been. The rubber stamps are usually handmade. So there is another opportunity to learn a new handicraft. Making your own rubber stamp can be a lot of fun, there are instructions on the letterboxing site. Geocaching and Letterboxing are a great family hobby. We have really enjoyed it and hope to introduce this to my dad who is just retiring. Big Sister thinks it’s just like being a pirate and we’re treasure hunting. Little Brother is quite satisfied being put in his carrier and enjoys the ride. Water bottles and snacks are helpful along the way, but not a lot of preparation is needed. I love it because it’s cheap and we always end up creating great family memories.